In today’s data-driven world, organizations experience the need for automation of marketing to better manage the brand-consumer relationship and have more visibility into the overall customer lifecycle. New York-headquartered IQM Corporation, with a deep understanding of global marketing automation needs, is redefining targeted marketing through its programmatic real-time bidding platform built on device ID matching. The company streamlines campaign optimization by matching audience data to anonymous sets from the multi-device touchpoints of an individual. The company has collaborated with multiple data partners, including third party data management platforms and first-party data providers, to build intelligent vertical-specific solutions. 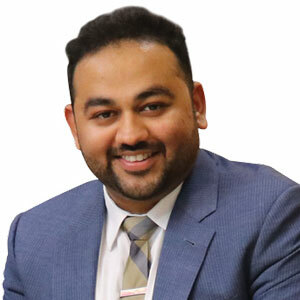 “While IQM’s AI-enabled marketing technology holds great promise for many industries including pharma and CPG to improve customer engagement, it already is bringing a paradigm shift in the field of political marketing through voter intelligence,” asserts Bhargav Patel, CEO, IQM Corporation. Electoral candidates need to understand voter sentiment and their personal challenges in detail in order to win an election. The lack of insights on such issues at the local, state, or federal levels, creates a challenge candidate must overcome. IQM’s platform helps campaign staff and managers understand the voter’s journey to the booth. IQM can merge voter id files (known as profiles), online data, offline events, public opinion, and trends to provide a more complete picture of the electorate. The uphill task, however, as Patel puts it, involves eliminating the ineligible voters who constitute 70 to 80 percent in any given region. Built with a unique feature to distinguish between eligible and non-eligible voters, IQM guides campaign managers to spend marketing dollars more wisely, allowing them to focus only on the persuadable voters who make the political decisions before the election. Essentially, IQM’s real-time platform gives electoral candidates as well as organizations the ability to predict voter behavior and activate multi-channel media campaigns instantaneously. Built with neural networks that run at a speed of 100 million second inferences, the platform quickly correlates voter data provided by its clients and data partners with the proprietary database to provide real-time signals to the campaign manager. The data models built into the platform help to understand the media consumption of the people in a particular region at the individual level by tracking the user interaction with a media channel. The AI algorithms recognize the reading pattern of an individual in real time and accordingly create their profile before delivering the ad. This, in turn, helps the campaign managers to verify if the individual is on the right application/web page and empowers them to decide if the advertisement should be projected on their digital location, based on the media they consume. IQM offers its clients the flexibility to either self-manage the platform completely, or work with IQM team in a managed environment. Clients can also white label the platform and rebrand it as their own. With an aim to be at the forefront of innovation, IQM plans to expand the use case of its sophisticated marketing platform to other verticals including automotive, pharmaceutical and financial services. “We have generated a multitude of use cases which can strategically put us ahead of the curve,” concludes Patel.